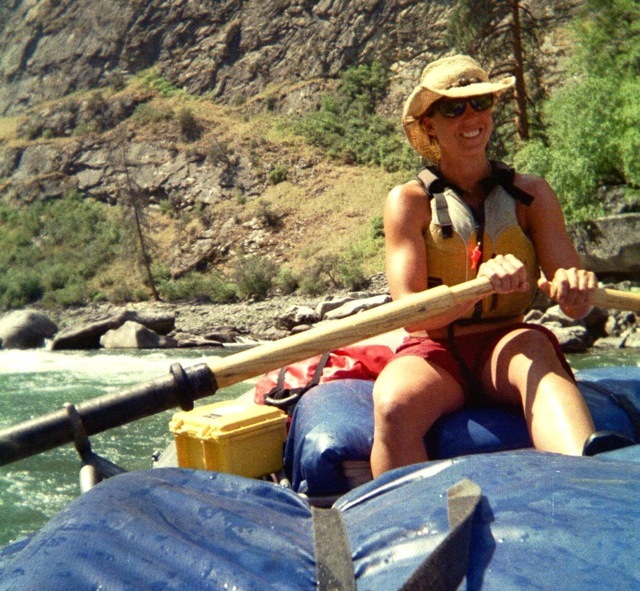 Spring boating on the Middle Fork of the Salmon in Idaho is a great idea. You have a pretty good chance at getting a permit in April and early May (check permit availability here) and you usually have the river mostly to yourself, which is amazing. 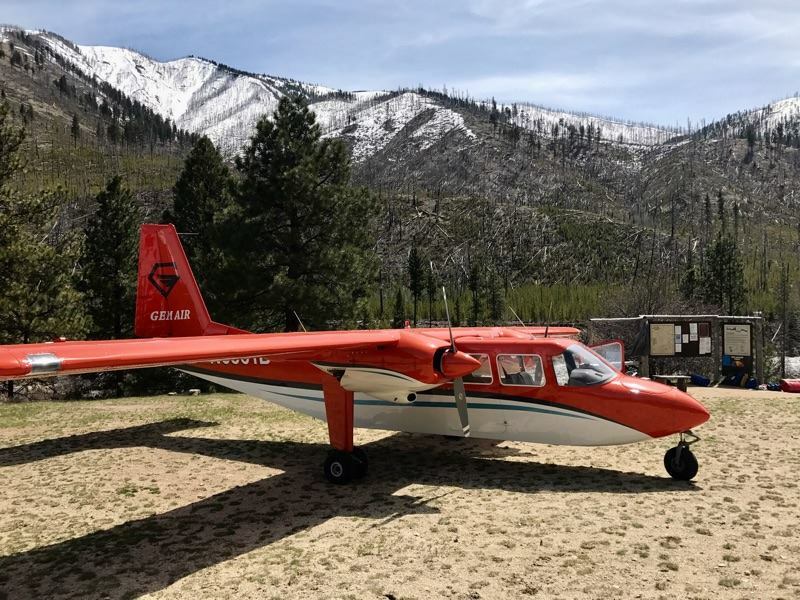 The challenge is that the Boundary road is still snowed in, so the only way in is with a backcountry flight. That’s where Gem Air comes in! Below are a couple of ways we help our boaters take advantage of spring boating. A 206 coming in to Bernard. Let us help you get there! Bernard Airstrip is at mile 67.8, which means your float down from here will be about 32 miles. Launching here lets you focus on one of the most beautiful parts of the river – The Impassable Canyon. Also, the shorter mileage means you can fit this trip in with only one or two nights. It’s worth noting that there isn’t a ramp at Bernard, so you’ll need to be prepared to carry your gear to the river. Pack light! You do still need a permit from the USFS. You can check availability and start that process here. A schedule suggestion: Drive to Salmon on Thursday or Friday and drop your gear with us. Then run your own shuttle down to takeout at Cache Bar. Return to Salmon and enjoy the night in town! Fly out with us early the next morning, and get on the river that day. Spend one or two nights in the canyon, take out, and be back home by Sunday night. Early season can be cold, so pack warm! The top of Indian Creek Ramp. Let us help you get there! The Indian Creek Boat Ramp is at mile 24.7, which means your float will be about 75 miles. This is an easy place to start the trip, as it has a nice ramp with a big sandy beach. You can push the milage from here each day and make it a short trip, or take your time and explore. You do still need a permit from the USFS. You can check availability and start that process here. A schedule suggestion: Drive to Salmon on Thursday or Friday and drop your gear with us. Then run your own shuttle down to takeout at Cache Bar. Return to Salmon and enjoy the night in town! 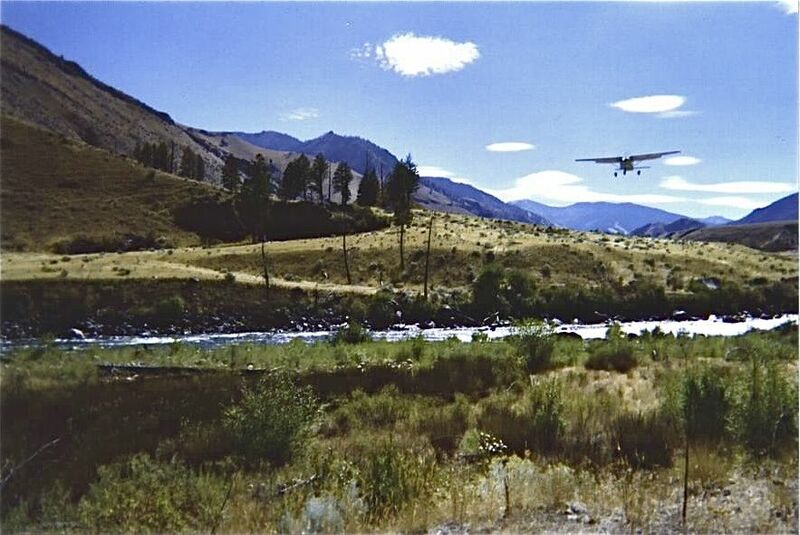 Fly out with us early the next morning, and get on the river that day. Early season can be cold, so pack warm! Do you need to rent gear? Blackadar Boating can hook you up. Do you need help with the shuttle? Blackadar Boating or River Shuttles can help you out. Do you want help with your menu/food pack? Salmon River Food Packs has you covered.